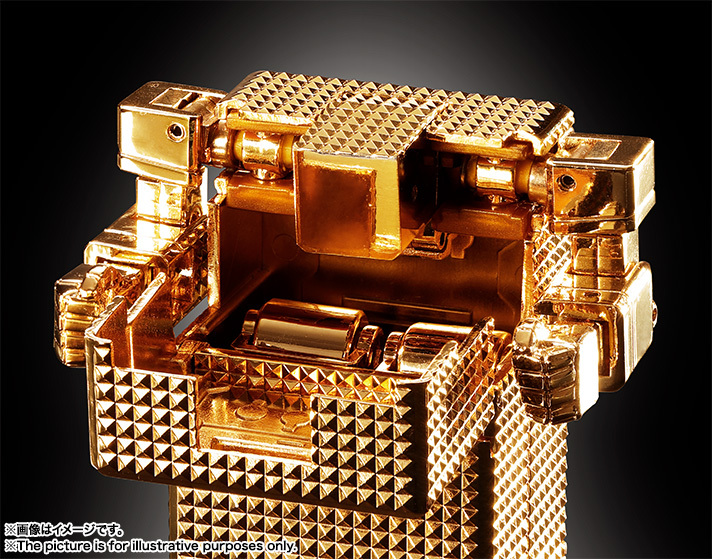 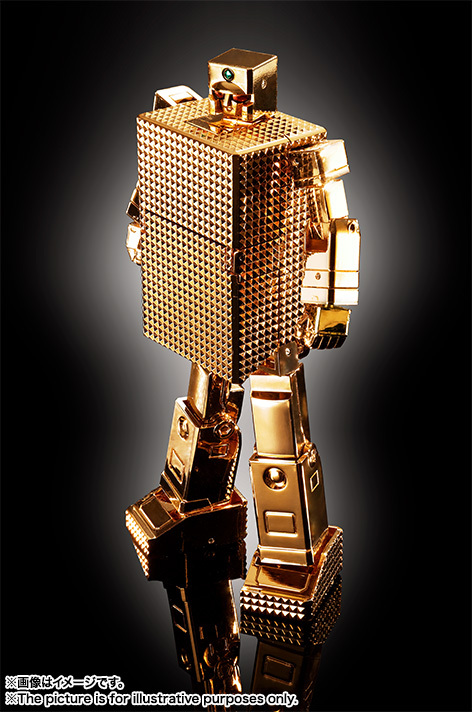 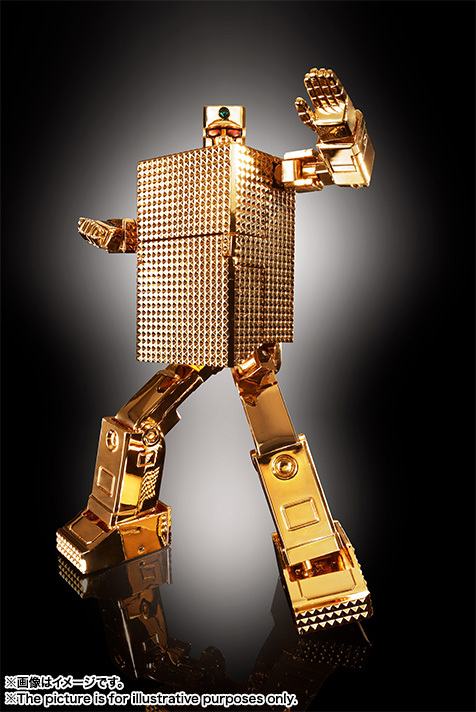 Home > Chogokin > Bandai > Soul of Chogokin > Bandai Soul Of Chogokin GX-32R Gold Lightan 24-Karat Gold Plating Ver. 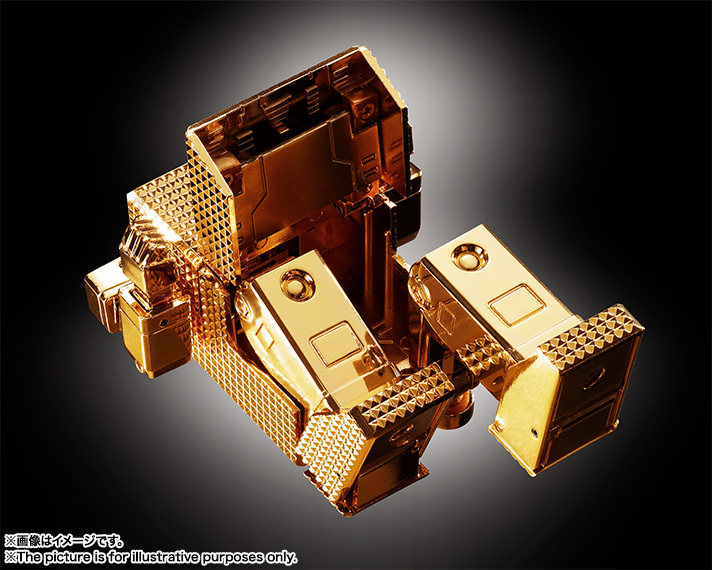 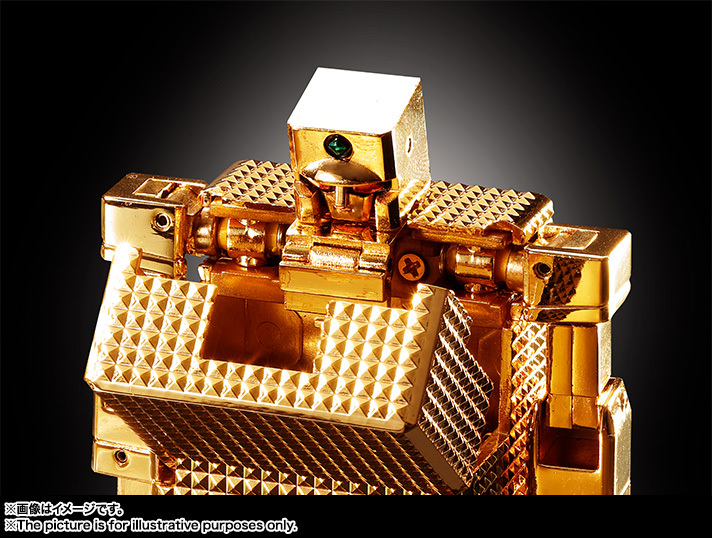 "Gold Lightan"
Bandai Soul Of Chogokin GX-32R Gold Lightan 24-Karat Gold Plating Ver. 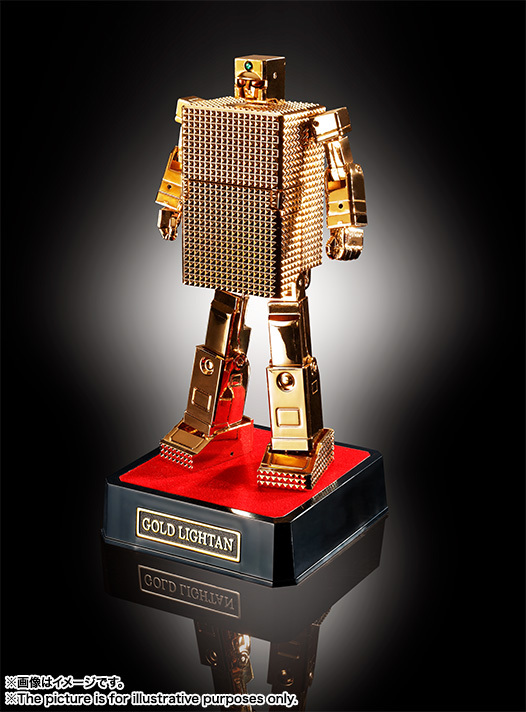 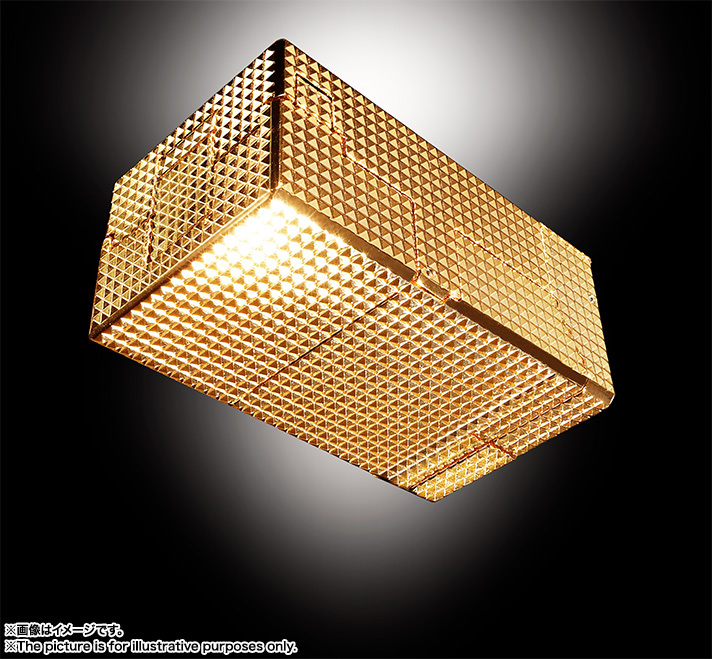 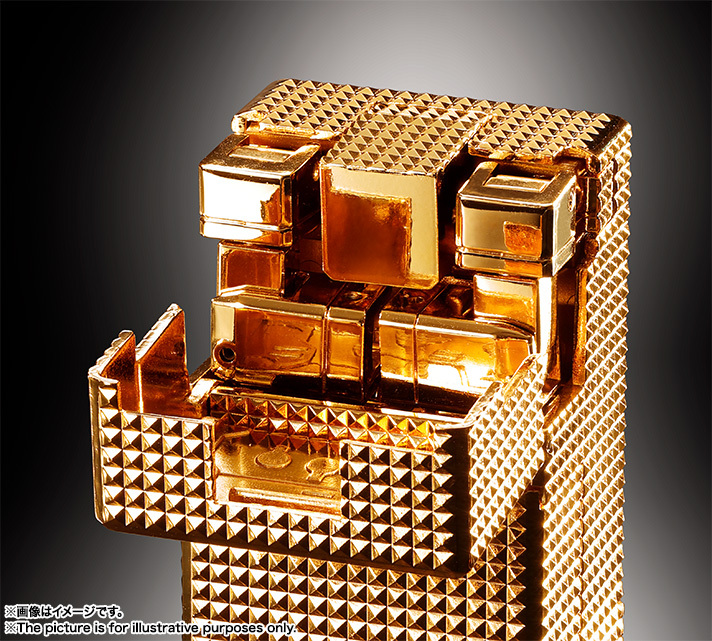 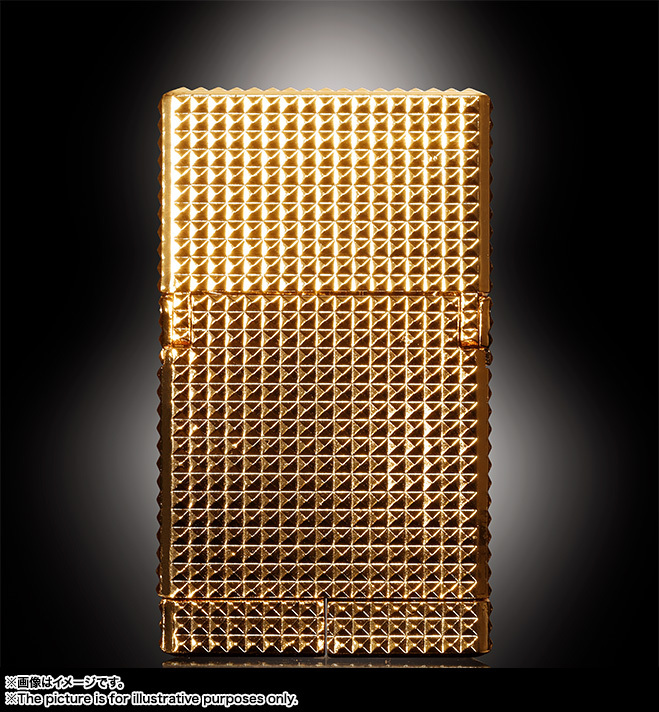 "Gold Lightern"
The legendary Gold Lightan returns with luxurious 24k gold plating! 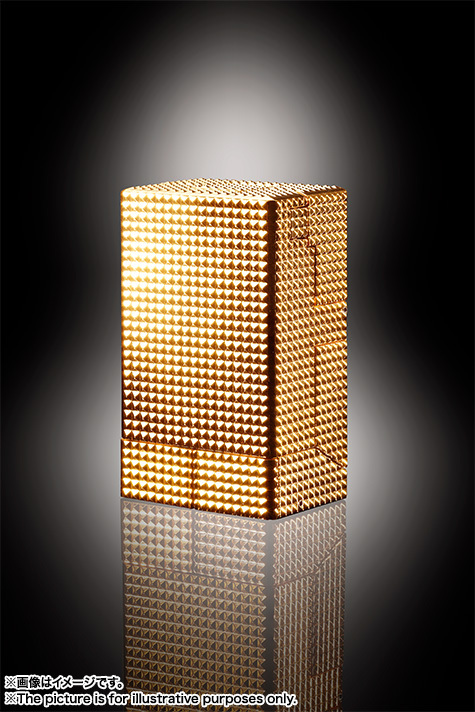 A re-release of the figure previously chromed in 18k gold, now the famed "crystal cut" body pattern shimmers even more gorgeously. 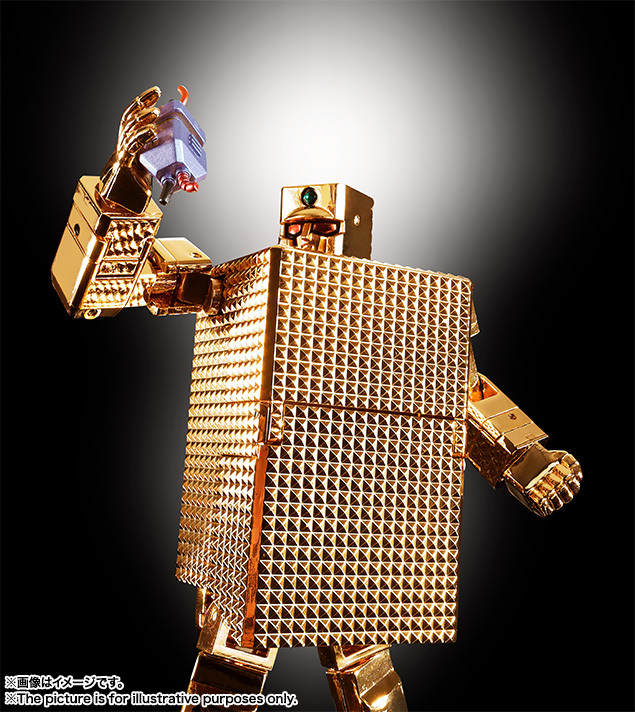 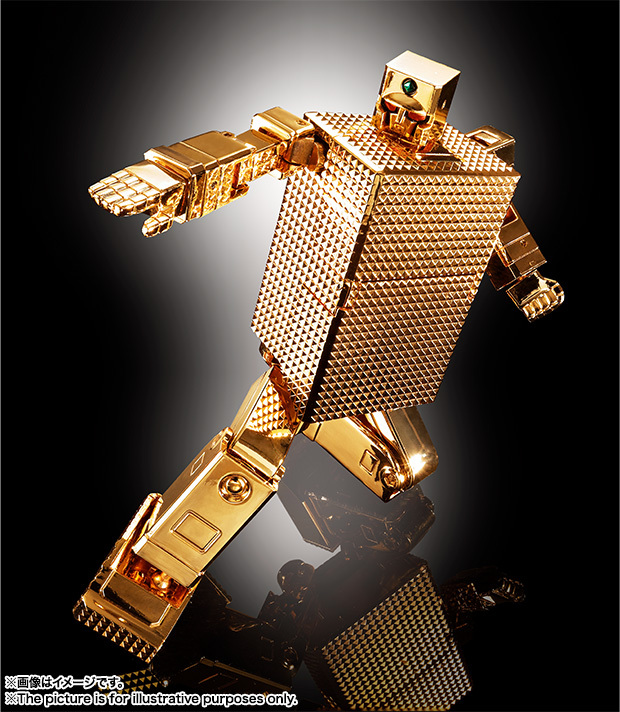 Transforms from a lighter shape into a robot! 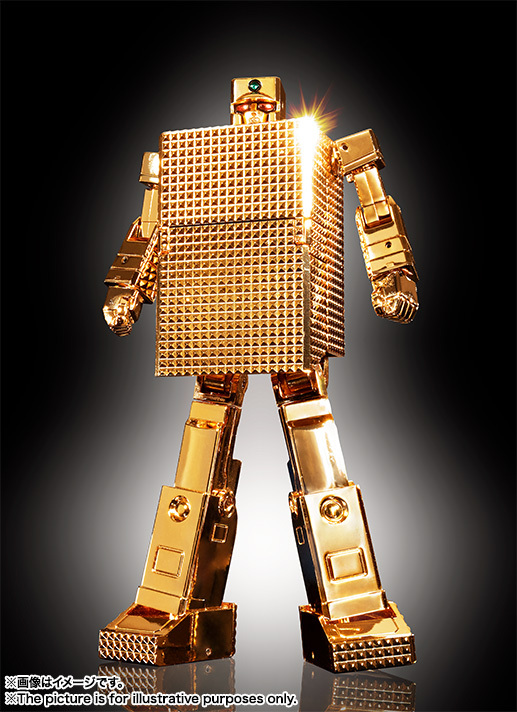 Includes 3 optional pairs of hands, mechanical "heart," two wrist covers, two leg covers, a display stand, and stickers for the stand.